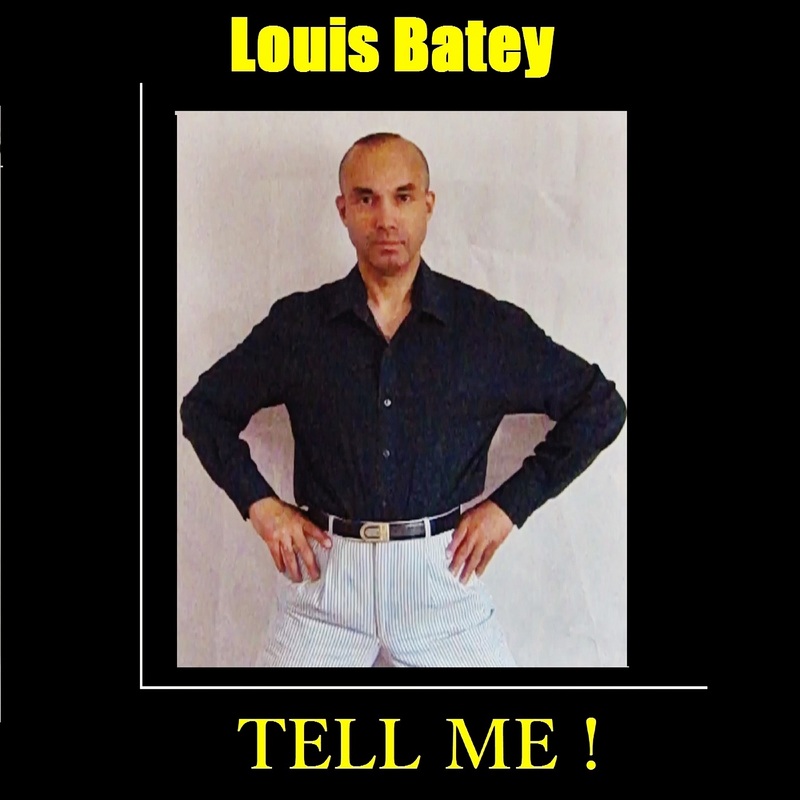 Louis Batey, is a talented Songwriter/Solo Artist. He writes all of his own original compositions (Music and Lyrics, Vocal and Instrumental), in an interesting variety of genres, which includes: Pop, Chart-Pop, Soul/R&B, Dance (House, Electronic), Adult Contemporary. He performs all Lead/Backing Vocals on all of his recorded compositions. Also, he writes his lyrics in different languages: English, Spanish, Portuguese, French, Italian, German, Greek, which makes him potentially-marketable to an International Music Audience and also, to an International Music Industry. Louis is currently writing songs (Vocal and Instrumental), for placement in films, TV, radio, adverts/jingles, video games, Multi-Media, or for other artists to perform and record. THE GREATEST BAND NEVER HEARD! Chasing Colors are all original members of the 1980s and early 1990s Minneapolis, Minnesota original rock band ,The Colour. The band released their first ever CD and Digital Album EP available to the public July 18th 2015 and have achieved success getting radio airplay, impressive music reviews and are gaining many new fans. The band has renamed themselves, Chasing Colors...So much more appropriate as they are still reaching for their musical dreams!! Chasing Colors back in the day were compared to The Cure, U2 and even The Cars. Surprisingly, Louie Paretta (Lead Vocals/Guitar), David Wagner (Bass/Vocals), David E. Paquette (Drums/Vocals) and Scott Patton (Lead Guitar/Vocals) have written and professionally recorded original songs all throughout their careers but were never able to get past handing out their cassette demo tapes out to fans at live shows. They had a good shot with a record deal when local talk radio host Terry “Griff” Griffen was managing the band. Unfortunately, Terry passed away from leukemia and with hard times, the band broke up. 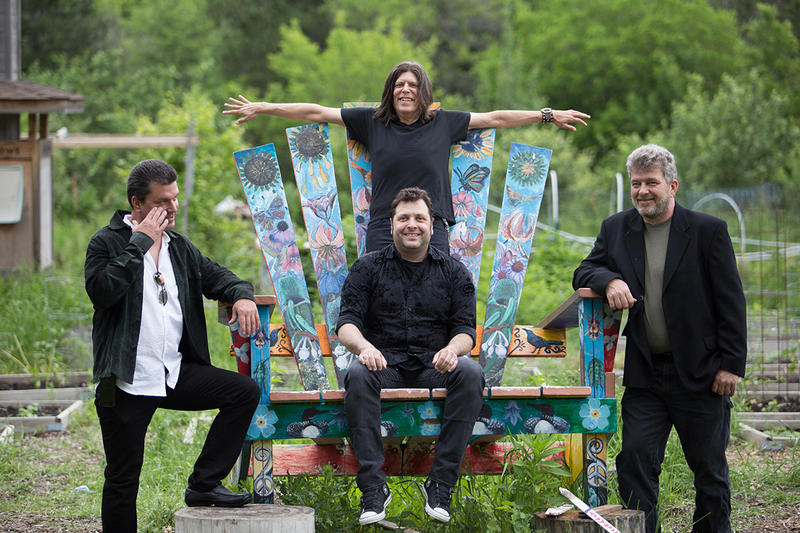 In the last two decades, Louie Paretta, David E. Paquette and Scott Patton were active in the local music scene together as well as on their own. A little later on Louie moved to Georgia, had a go at it but later moved back to Minnesota. He played with local musicians including Dave E. Paquette while Scott Patton had moved to California, played in bands there, and after a decade moved back to Minnesota. 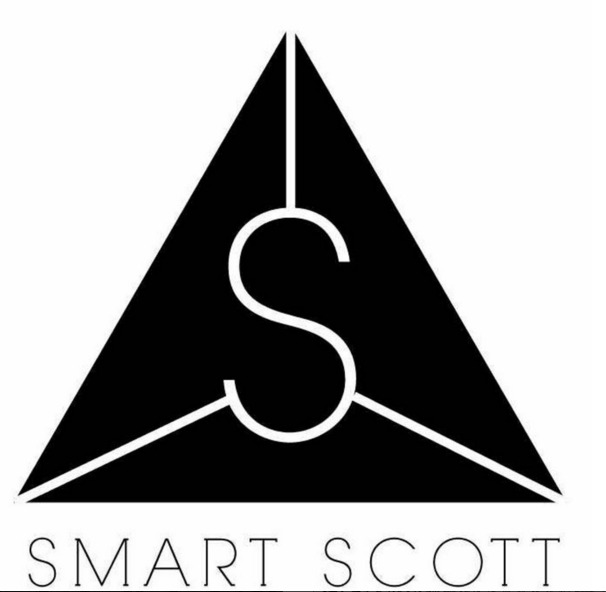 In 2014 Scott and Louie talked and got the original band back together including Dave Wagner on bass guitar who had taken a two decade hiatus from the music scene. Now they are back and already writing and recording their second album as well as performing live shows. Chasing Colors is available for booking and interviews. …All Set To Change With Release Of New EP From Chasing Colors"
Chasing Colors is looking to continue playing live gigs and festivals and will consider all licensing opportunities. 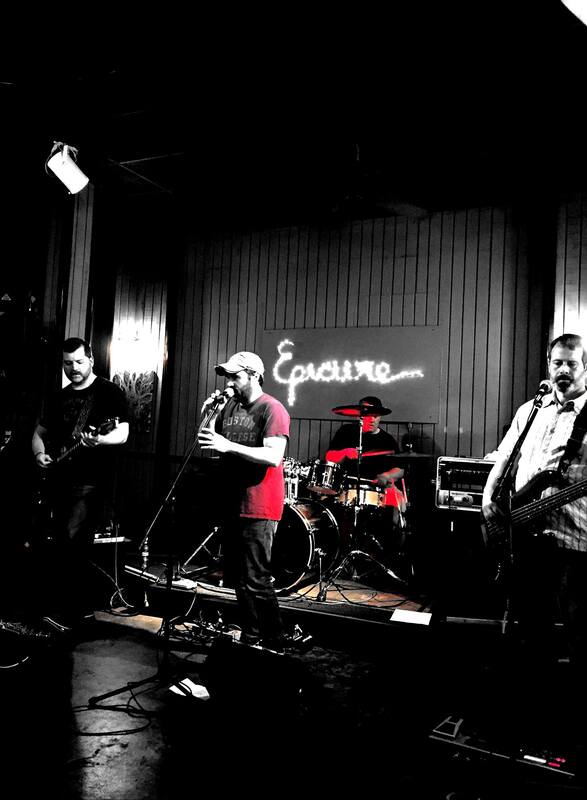 Et Tu Brucé are a Four piece band hailing from Hanwell in West London playing harmony laden Rock, Pop and Folk Music, comprising of Jamie White (Guitar/Vocals) / Siôn Hewitt (Guitar/Vocals) / Darryn Bruce (Bass) and his brother Craig on Drums. Their triumphant debut album ‘Suburban Sunshine’ was named record of the week by influential music critic, Jim Farber, in the New York Daily News, leading to the band being invited to SXSW to play a showcase performance for the Yahoo! Austin Psych Fest, securing a record deal with SonaBLAST! for ‘Suburban Sunshine’, and an invite from the legendary Zombies to open their next American tour. Et Tu Brucé toured North America with The Zombies over two tours and three months, playing such celebrated venues as The Troubadour in Hollywood and at the world’s largest music festival, Summerfest in Milwaukee. The group played their own headline shows, opened for great luminaries Al Kooper and Burton Cummings, as well as performing an acoustic set for Dave DiMartino’s Yahoo! Music site. Now, as the original Zombies, including bass player and songwriter Chris White (father of Et Tu Brucé's Jamie White) have reunited to tour the seminal Odessey & Oracle album over America, ETB release Hey Blue as a magnificent introduction to their own forthcoming album. 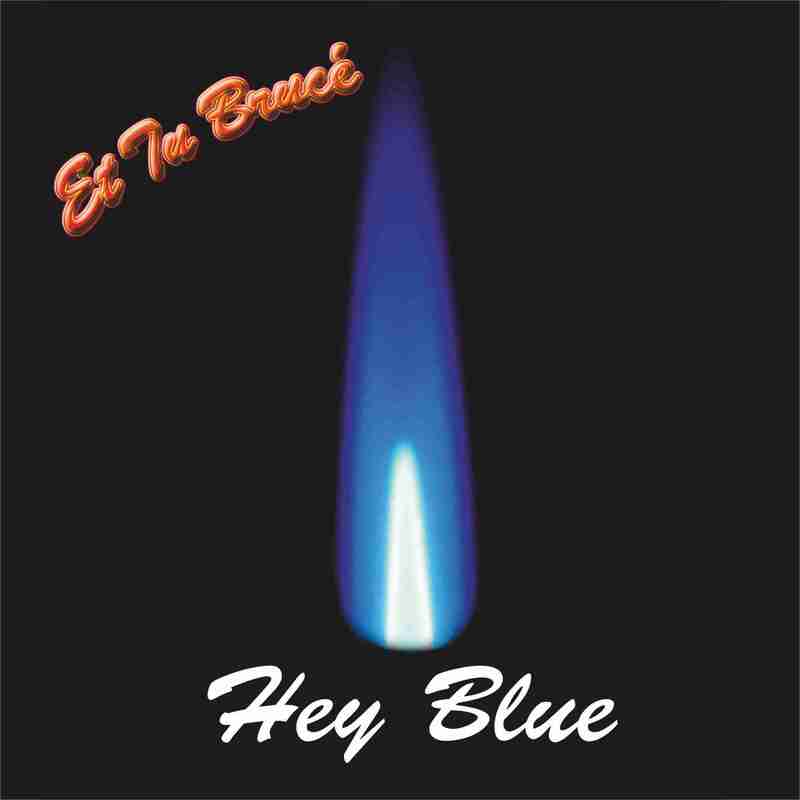 Et Tu Brucé are back after their recent successes, and return with their finest single to date, ‘Hey Blue’. A brilliant slice of premium guitar pop. Already picks on BBC 6 Music, Absolute Radio, and XFM, ‘Hey Blue’ brings bursts of The Beach Boys, that Motown sound, and pure blue sunshine. West London meets West Coast. Their triumphant debut album ‘Suburban Sunshine’ was named record of the week by influential music critic, Jim Farber, in the New York Daily News, leading to the band being invited to SXSW to play a showcase performance for theYahoo! Austin Psych Fest, securing a record deal with SonaBLAST! for ‘Suburban Sunshine’, and an invite from the legendary Zombies to open their next American tour. Et Tu Brucé toured North America with The Zombies over two tours and three months, playing such celebrated venues as The Troubadour in Hollywood and at the world’s largest music festival, Summerfest in Milwaukee. The group played their own headline shows, opened for great luminaries Al Kooper and Burton Cummings, as well as performing an acoustic set for Dave DiMartino’s Yahoo! Music site. With a host of fantastic reviews for both their live and studio work, including noticeable coverage in Rolling Stone andPaste Magazine, and two spots on Bob Boilen’s (NPR’s All Songs Considered) best concerts of 2013, this year is set to be a great year for Et Tu Brucé. There is an eagerly awaited new album released in March, and tours of the UK (starting in January) and the USA planned. Having been in the business for more than 10 years, UK based soul tribute band known as Soul Desire is now set to travel all across England to play exciting gigs. The band has made a name for itself due to the quality of the music and is now also ready to play private events like weddings etc. 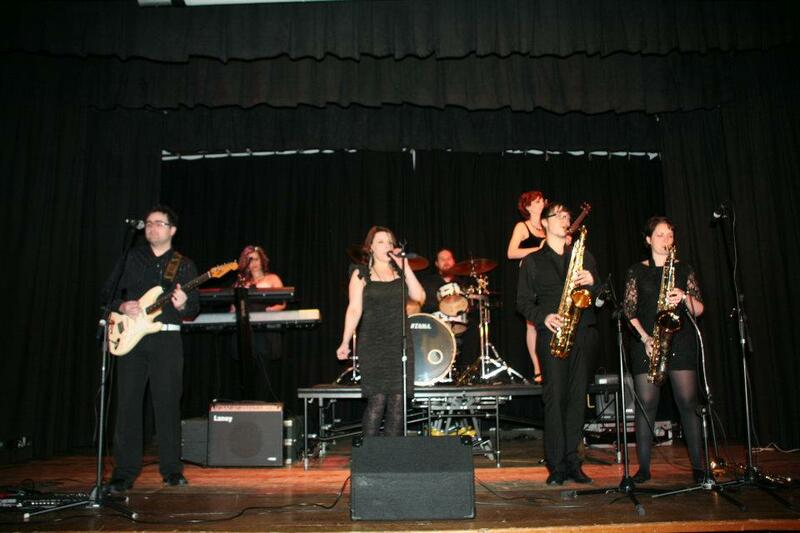 Bringing back the nostalgic sounds of 1960s and 70s, UK based soul tribute band Soul Desire has had a very successful past year. Now that 2016 has started, the band has released information on new and upcoming gigs and booking slots. 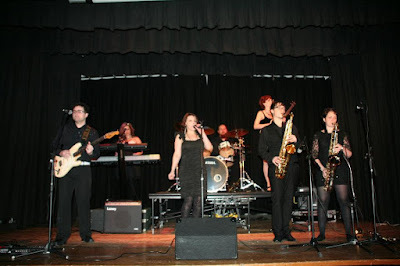 Having been established for more than 10 years, the band has made many fans across UK and has played on many events, corporate and private both. 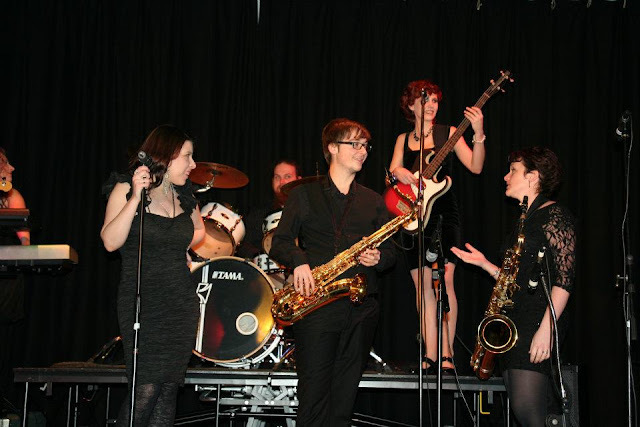 “We wanted a soul band for our celebration but this was really special! I have no hesitation in recommending that you book Soul Desire to play at any event,” stated a happy client in a testimony of the music played by the band. The band consists of 7 permanent members with different guest musicians joining the band every now and then. Paul White, the public relations manager of Soul Desire, spoke about the band’s work since its formation and the new stuff to come in 2016. Videos, testimonies and more details regarding Soul Desire can be seen on the band’s official website at http://www.souldesire.co.uk/. Baltimore-based alternative rock and pop artist, Will Sims, creates themes that focus strongly on both romantic and social relationships, and the difficulties faced in our modern society. His rich, powerful music reaches out to connect on a personal level while still maintaining infectious components that make his songs stick in your head. Sims’ music echoes the work of the 90's alternative rock movement by incorporating various genres of music as a palette to paint different styles of imagery into his music. The vocal styles of Rob Thomas are woven into his work, which are vocal melodies that both compliment, and are complimented by, the music. The diversity of his voice allows him to traverse from high energy, Foo Fighters-esque rock songs, to soft, Goo Goo Dolls style ballads that reach for deeply buried emotions. His songs also have a grand scale to them, built to fill arenas in a similar scale to that of a U2 or Oasis anthem. Through his music, Sims tries to answer questions about how relationships work and the roads people take to get to where they are. He aims to reach out to those who are struggling to let them know that they can make it through the hard times because others have been through the same ordeals. With music that is catchy, fun, and occasionally emotional, Will Sims aspires to make a connection with his audience in a way that will be as timeless as his music. 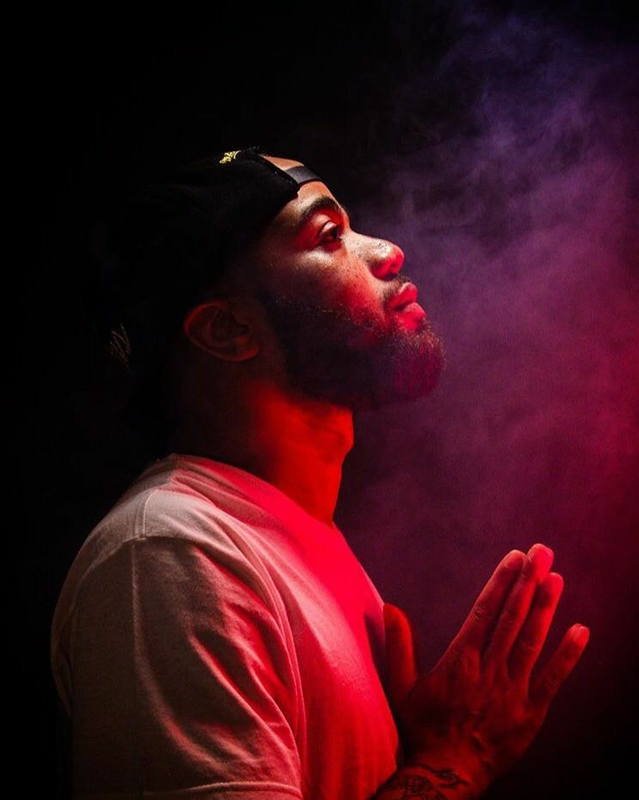 Sims’ music has been featured on radio stations in Maryland, Pennsylvania, and North Carolina as well as online radio stations and podcasts. 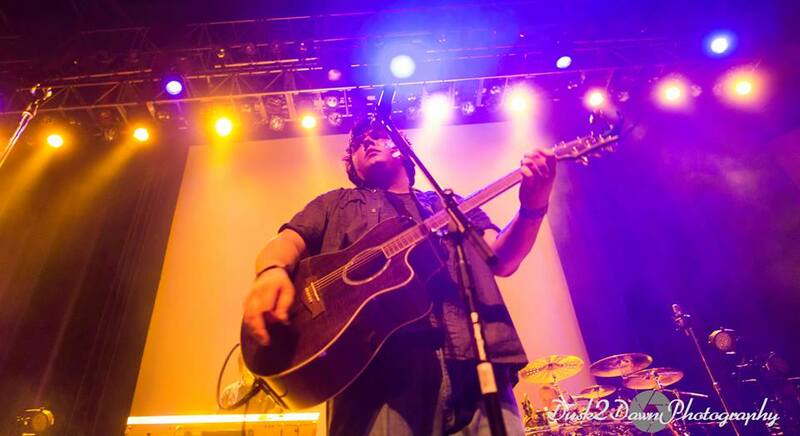 He has played shows in Maryland, New York, Pennsylvania, and the Carolinas, and opened for several national acts including: Saving Abel, Adema, 12 Stones, Smile Empty Soul, Charm City Devils, Otep, Taproot, Hurt, Kip Winger, Faster Pussycat, Almost Kings, and The Dreaming. Will Sims is sure to impact you in more ways than one with his music. 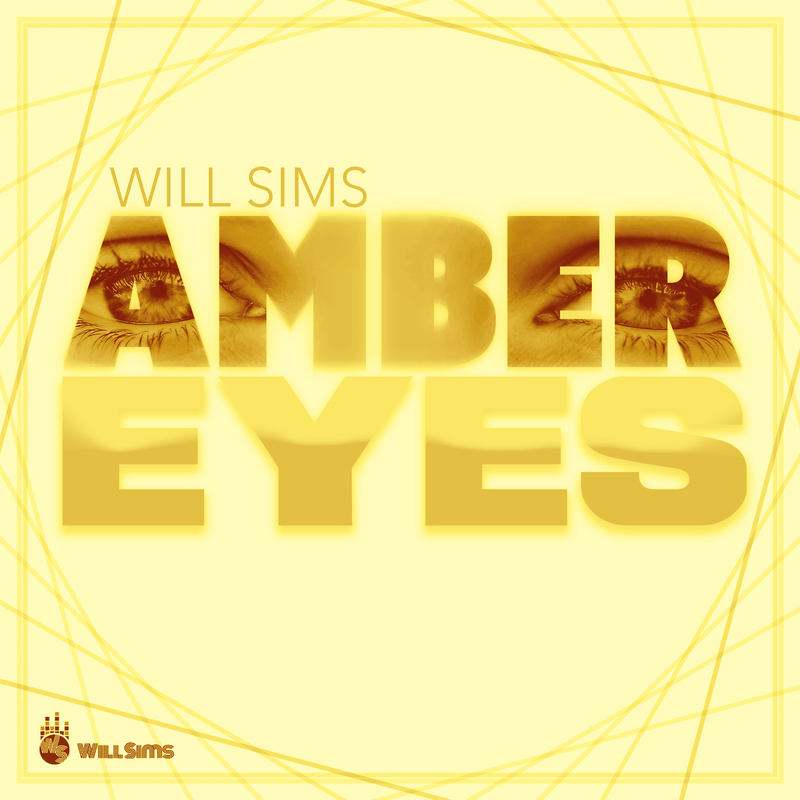 Will Sims plans to release his debut album, May Never Be Forgotten, after releasing the single “Amber Eyes.” A combination of pop, rock, and dance, "Amber Eyes," draws inspiration from Kick era INXS, and David Bowie's Let's Dance record. The song hints at the dangers of the game of love and the excitement that comes with meeting someone with whom you feel a strong connection. Another track off the debut EP, "Will You Remember?" makes you wonder if your failed relationships ever really meant something. Stone Driver is a second act for all of us. Individually we'd each played in various bands and lineups (including our drummer in some well established acts like the Whirlies and Everclear), but eventually moved on into more conventional career pursuits. So we went on to become a soldier, a diplomat, a scientist and a pharmacist, but emerged from these endeavors (and from far flung places like Yemen, Pakistan and Afghanistan), finding music again, and each other to become Stone Driver. Listen to any songs from our vast catalog of original material and you will find each of our respective--and diverse--influences. Rock, indie, college, blues, classic, are all present. But our collective sound is a thing we call Space Grunge. We love to bring the audience in close with hook and then knock them over with a crushing turnaround of power chords and driving rhythm. We put on a great live show and have a lot of fun with the crowd. More than anything, we want to take another swing at getting out there and showing people in and outside of DC that we are a force to be reckoned with on the rock stage. We believe in our music and message and need only a chance to bring it to a wider and more diverse audience. We welcome opportunity to achieve this and you will not be disappointed when you select us to grace a stage. We work tirelessly to put on an incredible show and to represent our venues and fans with honor. We will also pull out all the stops to pack each venue with rabid supporters and to reel in those who don't yet know us with our sound and energy. Give Stone Driver a slot and you'll be asking us back--guaranteed. "Do you remember when music was free from irony? It has been a while, but there was a brief period in my youth where every band took the approach of Stone Driver. They just wanted to rock out with straightforward heartfelt songs. Music got a lot more complicated, and while better in some ways, we can be happy we still have bands that know how to rock. And Stone Driver does that plenty on this record, but offers a fair amount of variety within their sound. They have some psyche tones in ‘Prism’, offer acoustic moments, with different rhythms and guitar sounds throughout. They are a fairly new band on the DC scene, but they clearly have veteran players that know how to bring out the best in a song. 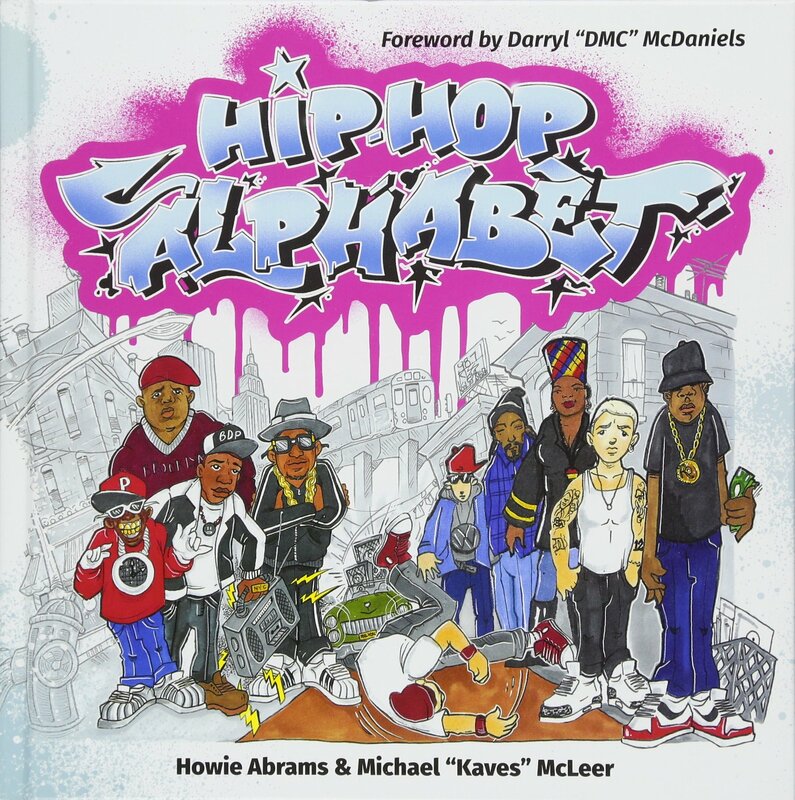 If you want thoroughly modern slacker attitude, there are some choices on this list, but for real rock fans, check this out." Stevie Mann said "It’s been a long time coming. We have had stacks of EPs and singles as you know, but this is our first actual album since Behind It All and we are super excited. It’s an eclectic collection of tunes with themes I couldn’t even have dreamt of writing about or seeing if it hadn’t been for the past few years touring. It doesn't just deal in stories of the heart or negativity, far from it, with tracks such as 'We R1' which has a positive "WE CAN DO IT!" vibe. It’s essentially a Driving Guitar Indie rock song, with pounding drums, big riffs and a great storyline taking you on a road trip from A to B with a let's get together and do this theme. Hot smokin' guitars, fierce vocals -- Save the World is the goal here. Nascar, racing, hot cars, endurance tests, action movies. Then you are taken to the underworld of twisted double agents with the awesome "A Kill for the king" It is an Epic, James Bond 007 esc dramatic rock tune, almost orchestral feeling song about deceit, pressure, eerie and tense life undercover in a twisted under world. This album has it all from the anger of breakup in 'Damn' to the lust of the rebound in 'Nothing left for Me'. • Nine Lies Bassist John Rossi started his career in a little known band called Snow Patrol. Got a question? Contact us at NineLies@Europe.com and join the team. 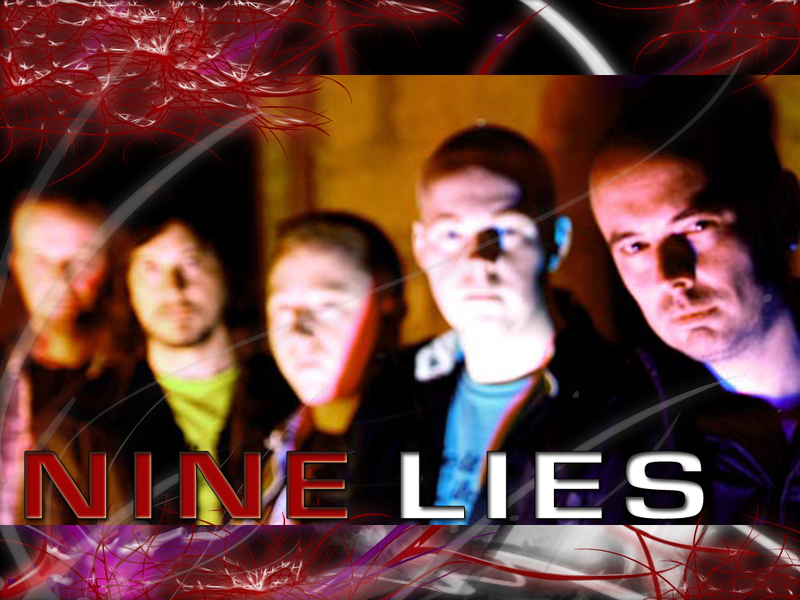 Nine Lies are an Alternative Rock Band from Belfast in Northern Ireland, consisting of Stevie Mann (Lyrics/Vocals/Production), Dave Kernohan & Nick Black (Guitars), John Rossi (Bass) and Stephen McAuley [Stoogie] (Drums). Nine Lies have had incredible success since their inception, realizing milestones that most unsigned bands can only dream of. • 143,000 downloads of the single "Slippin Away"
• Voted and Gold Disc awarded as 'Best Rock Band 2012' by the listeners of a Florida Radio station. • The Song "Behind It All" licensed as the theme tune to TV programme 'Our Prisoner' in the USA. • The Licensing of several tracks to PC Games Development and Publishing for "Trucker 2"
• The song "Slippin Away" selected by ASCAP for excellence in song writing award at Music Expo L.A.
Nine Lies are an Alternative Rock Band from Belfast in Northern Ireland, Formed in 2003 and consisting of Stevie Mann (Lyrics/Vocals/Production), Dave Kernohan & Nick Black (Guitars), John Rossi (Bass) and Stephen McAuley [Stoogie] (Drums). A man of many talents and a passion that rivals his fiery hair. 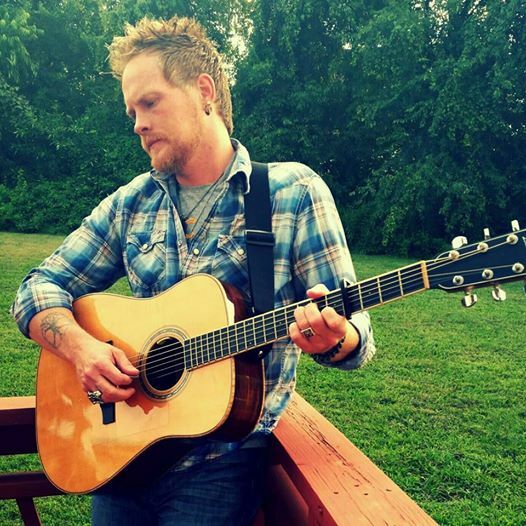 Jon Scott has been a singer,musician and songwriter nearly his entire life. it would be ok as long as he could sing. 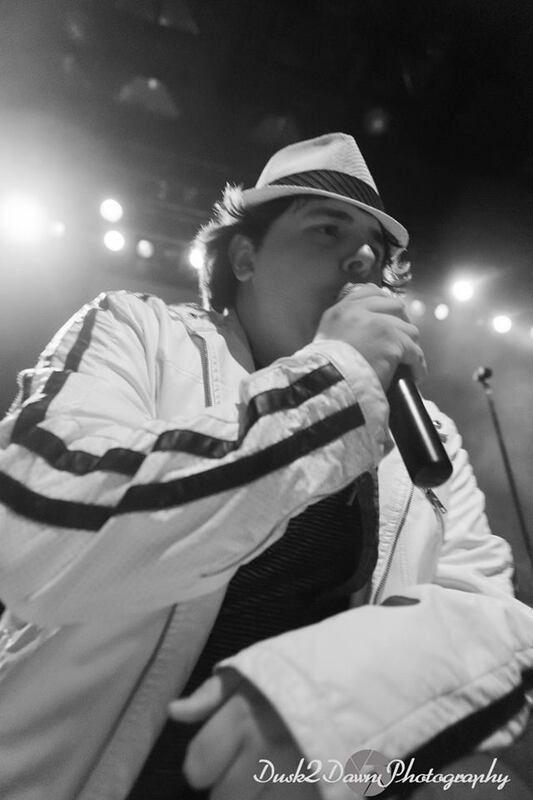 Growing up in a religious family,Jon began singing in the church. Scott plays drums ,bass, keybord and guitar. the most complicated of songs and the arresting manner he is able to interpret the most simplistic of songs. 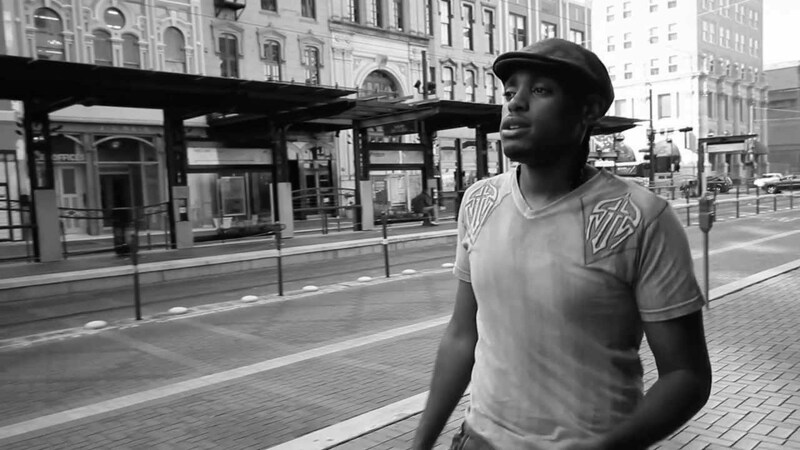 Jon is also influenced by Stevie Wonder and cites him as a inspiration. Heather Scarlett is an award winning singer-songwriter in Austin, Texas. 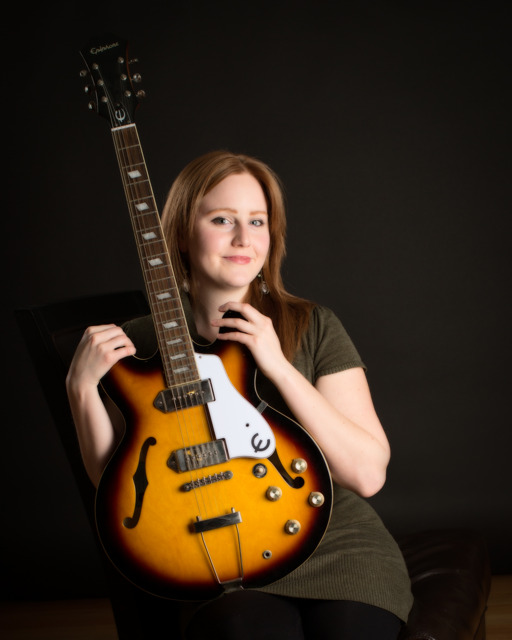 A graduate from the Berklee College of Music in Boston, she has won both First Place in Blues and Honorable Mention in Rock in the West Coast Songwriter’s Competition in 2009 and 2010 respectively. Her music has been written about in Computer Music Magazine, and dozens of local magazines across the country. Her music has also received airplay on college radio stations nation wide, as well as been featured in dozens of music blogs internationally. Heather Scarlett has joined up with several bands over the years including The Heather & Ben Show, Gold Band, Stealing Earth, White Roses and the Captain Wolf Band. She has released several albums with these bands. More recently she has released two albums,California and Boundless, under her solo project Heather Scarlett Rose. Heather Scarlett tells stories in her songs. Stories of love, friendship, social and political events. She is greatly influenced by artists such as Joni Mitchell, Grace Slick, Bob Dylan, Igor Stravisnky, Billie Holiday and Paul Simon. Heather is an animal rights activist, an environmentalist, a peace keeper, and a firm believer in the power of love and the power of music. Heather is also a practicing Buddhist and a true believer in mindfulness and the power of meditation. The documentary “Black Social Change in Utah: Preserving the Story” will be shown Jan. 19, 7 p.m. at Salt Lake Community College’s Grand Theatre, 1575 S. State Street, on the South City Campus in Salt Lake City. The film, which will also show Jan. 15, 6:30 p.m. at Rowland Hall, looks at how social change agents, particularly black activists living in Utah, maintain hope in the face of adversity. Stories and histories from members of Utah’s Black community were filmed, recorded and combined into a compelling documentary format by SLCC TV and Marian Howe-Taylor, SLCC manager of Community Outreach and Strategic Initiatives. In addition to the documentary screening, well-known professional lyric baritone Robert Sims and pianist/composer Paul Hamilton will be visiting music classes Jan. 19 at SLCC’s South City Campus. On Jan. 20 the pair will perform at noon in the Oak Room in SLCC’s Student Center on the Taylorsville Redwood Campus. Sims made his recital debut in 2005 at Carnegie Hall and is the Gold Medal winner of the American Traditions Competition. Hamilton has performed all over the world, including Russia and Ireland. The Grand Theatre is a 1,100-seat venue located at Salt Lake Community College’s historic South City Campus, home of the innovative, state-of-the-industry Center for Arts and Media at 1575 South State Street in Salt Lake City. The Grand was chosen by Sundance Institute to be a screening venue for an international audience during the annual Sundance Film Festival in 2015 and 2016. The theatre dates back to the 1930s when it was part of South High School, which SLCC purchased in 1989, a year after the school closed. The Grand began offering productions that year and has since, with great care and expense, retained its Depression-era charm and attraction while also incorporating the latest technology in lighting and sound. Every season the Grand is host to award-winning theatre and dance productions and concerts that attract arts enthusiasts from all along the Wasatch Front. Students and faculty in the arts at SLCC’s South City Campus now enjoy and, as a result, excel from having access to the Grand’s nostalgic look and feel and the Center for Arts and Media all in one place. PHOURIST (for-rist) & THE PHOTONS began as Nick Hill's solo project (known then only as PHOURIST). After a few solo records; Terrestrial Daydream and Breathe Deep (highly textured, cinematic records), Hill became restless for a larger sound. He is quoted as saying, "Having only one guy to play all the parts is pretty limiting; especially if you can hear so much more in your head! I was also getting tired of being the guy who played pretty music... I love pretty music but I felt like I had more to give... kinda wanted to kick in some teeth." With an arsenal of songs that had no proper outlet; Hill went through countless lineup changes. It wasn't until a friend of his father's recommended Scott Boice as a potential drummer that the current incarnation of the band began to take shape. Boice's firm grasp of dynamics and uniquely instinctual style of playing lent itself perfectly to the path the music was headed. Right as Boice joined the band; the bassist at the time had to leave to pursue her own musical endeavors. Luckily Boice's long-time friend and old band-mate Stuart Wicke was available to join. Wicke's aggressive musicality perfectly firmed up the line-up; the two of them (Boice and Wicke) presenting a highly dynamic, formidable and seemingly uninhibited rhythm section. This combined with Hill's cinematic style of writing melodies led to the sound that is "Phourist & the Photons." The trio's new record 'In Infinite Indigo,' a theatrical, melodic, stripped-down affair is now available everywhere via SonaBLAST! Records (see Store page to purchase one)! Dar.Ra has graced the UK national charts and dance charts with two top 40's and two number one dance records with acts signed to EMI, BMG, Festival Records (Australia) plus remixed legends like Frankie Goes to Hollywood, Tears 4 Fears, Urban Harmonix ft Rachel Brown (Faithless, Groove Armada) and many others along the way. with a amazing array of music, which has been featured in Hollywood movies Snakes On Planes, Beauty And The Briefcase starring Hilary Duff, City Of Hope documentary plus on BBC TV Match Of Day and other UK TV shows. He also has a new book out in 2016 called Road Tales all about being on the road and the amazing people who all had incredible life stories to share, stories that needed to be written for others to be inspired by. 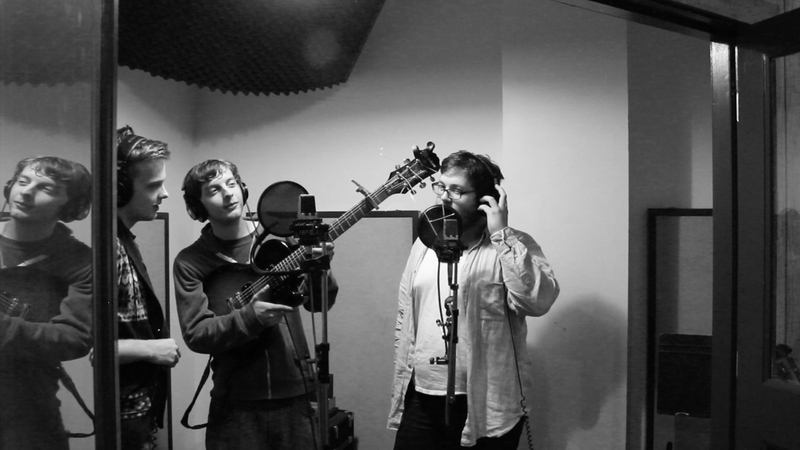 The Purdey brothers have a huge bit of musical DNA in their blood being related to the late great John Martyn OBE who had a 40 year career, and worked with some of the greats from Eric Clapton to Dave Gilmore. Aiden Purdey is one of the hottest new drummers around, at 18 he plays with the confidence of Keith Moon. His ability to come up with amazing drum arrangements flows effortlessly and is a name to watch out for the future. Rory Purdey is a young gun and like his brother is a pure natural in terms of playing guitar beyond his years. His influences go back to Robert Johnson and has the blues in his veins making him a guitarist that sounds like pure gold. The first EP Midnight Live shows what this band produce Live and a recorded album with Neil Costello (Paul Macartney, Stevie Wonder) will be due for release in spring 2016.